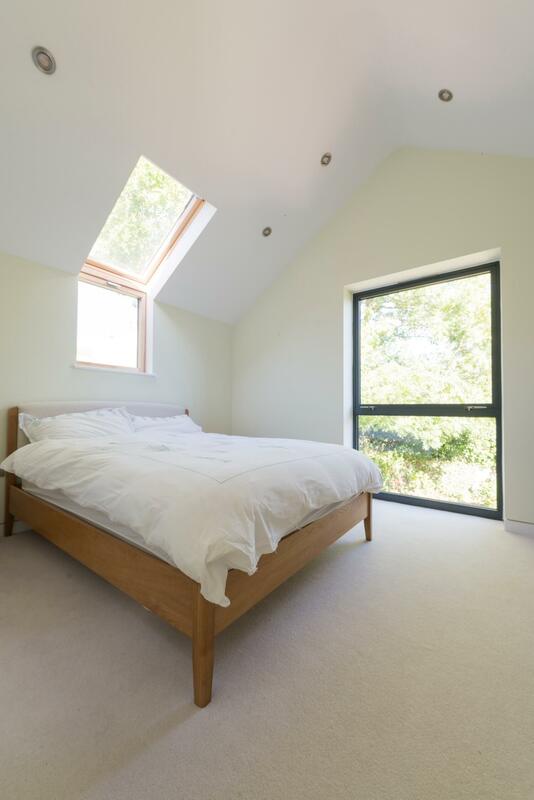 This project was located on a sensitive site in a conservation area in South Bristol, adjacent to two listed buildings. 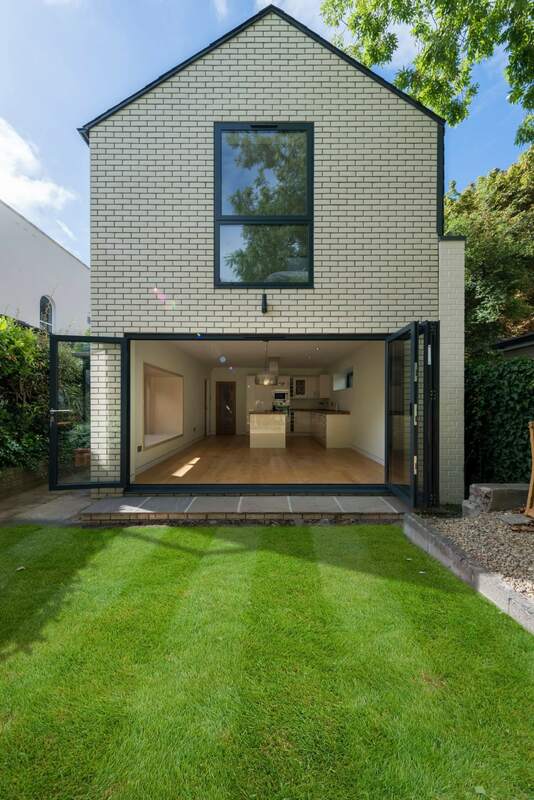 The client had purchased a peculiar detached house, built in the 1970s in a style reminiscent of a chocolate box cottage. 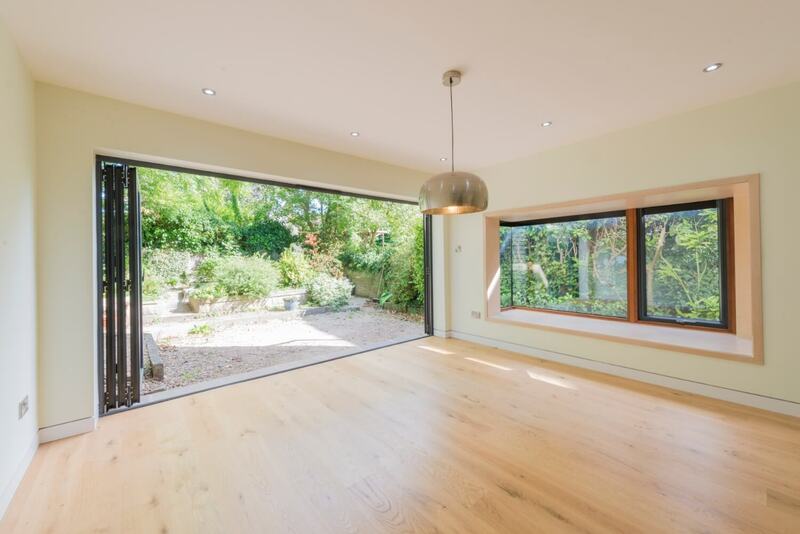 The scope included an extension and complete renovation of the interior. 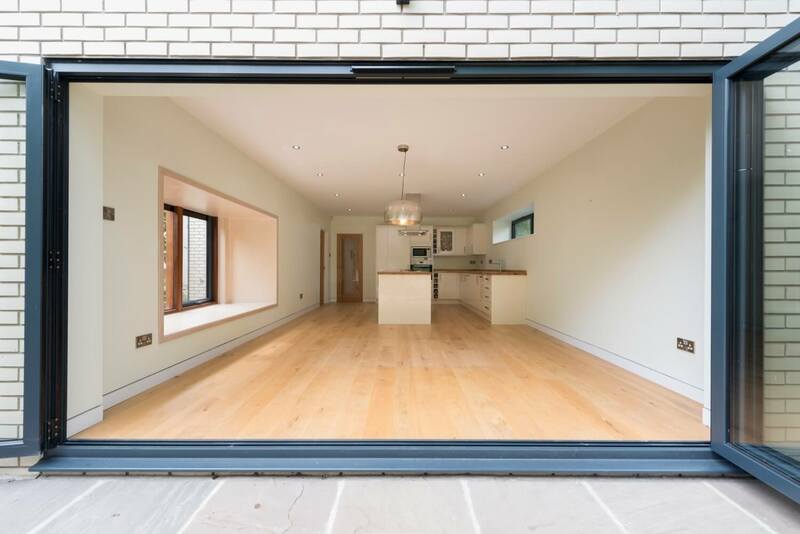 Our strategy was to create a modern extension that acknowledges the traditional form of the existing building yet uses different materials and detailing to distinguish between old and new. 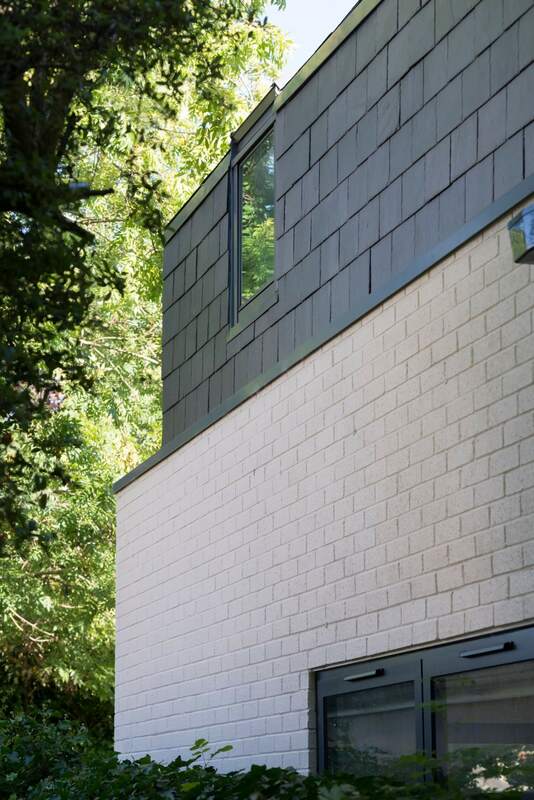 White brick was chosen in place of painted render, slate tiles in place of concrete tiles and aluminium windows in place of UPVC. The size and location of windows were carefully considered to frame view of the adjacent church, chapel of rest and rear garden. 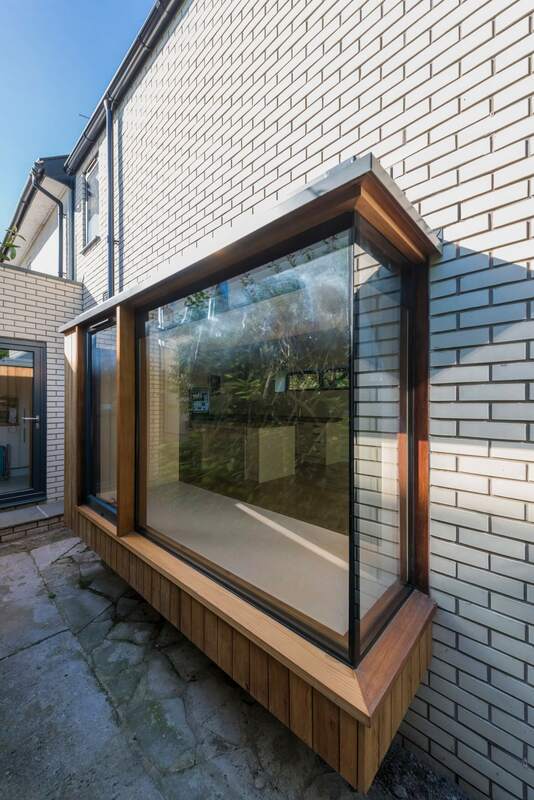 A recessed zinc channel separates the extension from the main building and channels rainwater to a hidden gutter to the rear of the house. 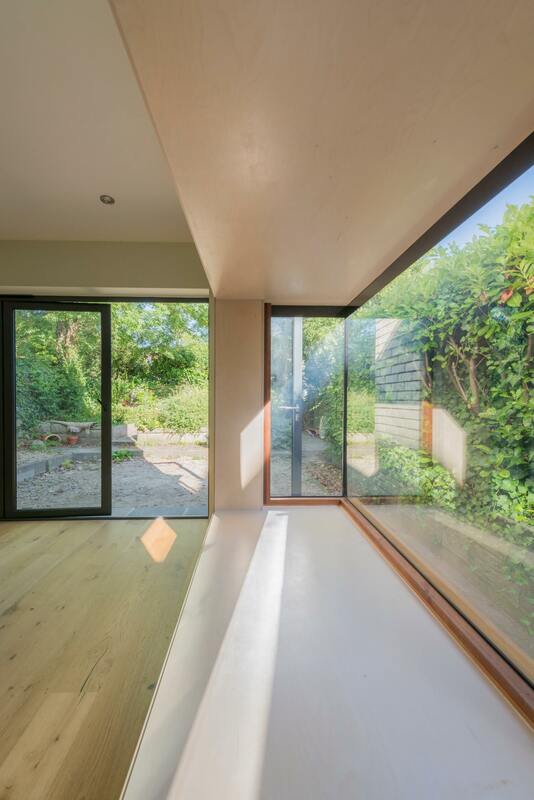 A cantilevered window seat allows the owner to experience the garden throughout the year.